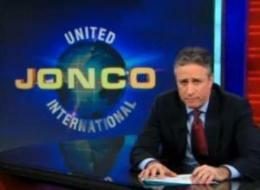 Jon Stewart (aka “United Jonco International”) explains. This entry was posted in Current Events, Satire on March 17, 2010 by Michael Happy. It’s St. Patrick’s Day and we’re all Irish for today at least. So here’s a group that needs no introduction in an entirely Irish world, The Pogues. This entry was posted in Music, Popular Culture, Video on March 17, 2010 by Michael Happy.